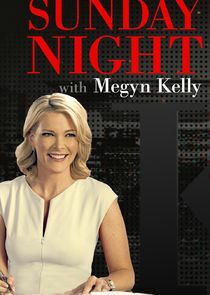 Sunday Night with Megyn Kelly is a primetime news magazine featuring the full power of NBC News. Sunday Night is sharp, strong journalism, focused on in-depth investigations, newsmaker interviews and stories of adversity, accomplishment, inspiration and adventure. Anchor Megyn Kelly is joined by a wealth of award-winning journalists from NBC News, including Josh Mankiewicz, Cynthia McFadden, Craig Melvin, Keith Morrison, Harry Smith, Kate Snow and Jacob Soboroff to report the stories of our time.